We take pride in servicing each and every customer to accommodate their request and to make it a seamless experience. We offer affordable rates, whether it is local or out of state transportation. We do background checks on all of our drivers, make sure they have clean driving records and are put through an extensive training course. 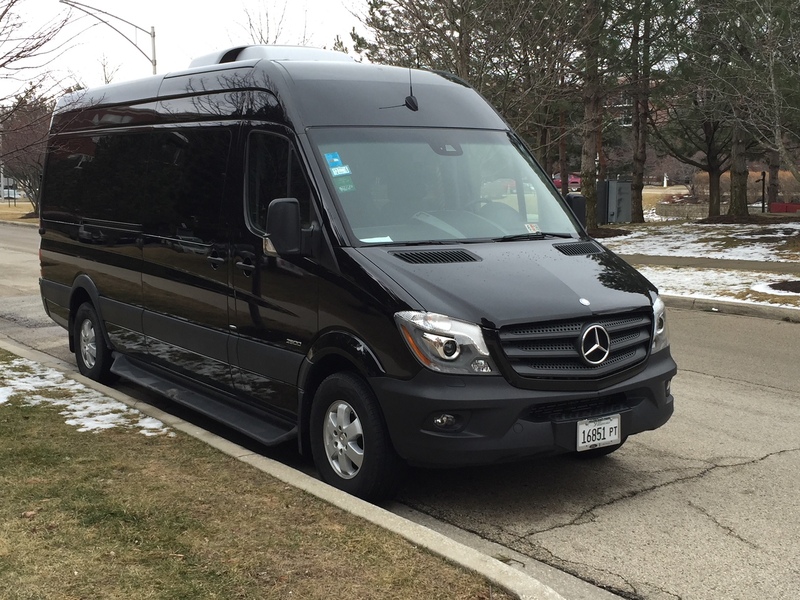 Our coach bus limousine might be the most comfortable way to get around. 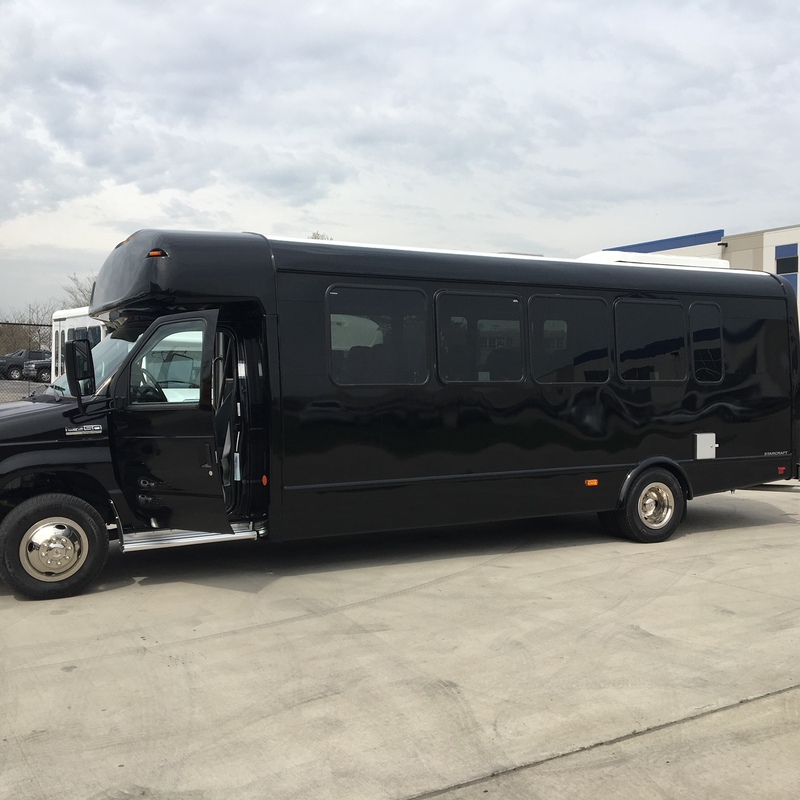 Great for large parties, up to 55 passengers, you’re going big wherever going in this ride. Check availability to see interior photos, prices and features. Are you looking for a way to make a birthday or anniversary party really special? Would you like to have a bachelor or bachelorette party where everyone can join in the fun? A fun way to have a bridal or baby shower? 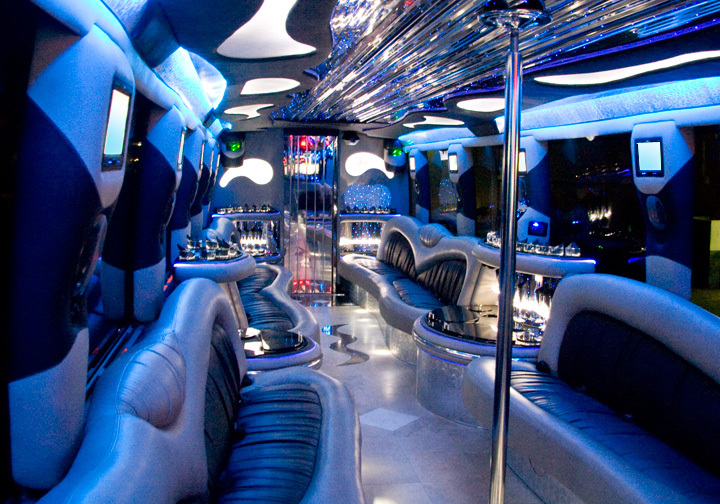 How about taking your party on the road with a party bus from All American Limousine? 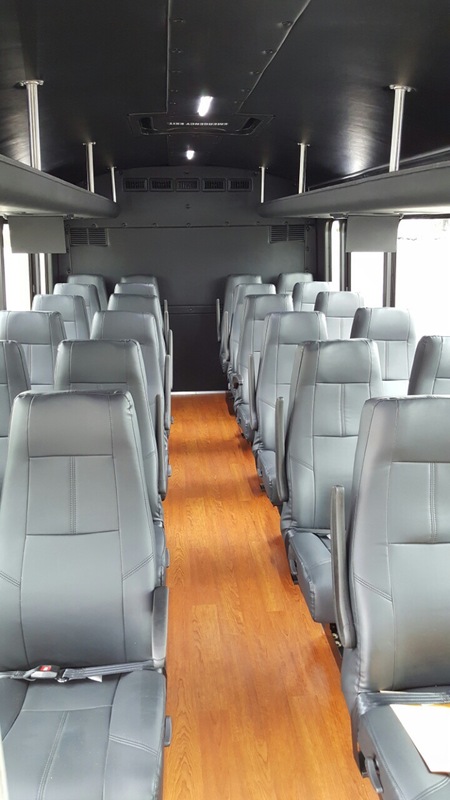 Our 20-24 passenger party buses are just the right size for an intimate gathering of your closest friends and family, and you’ll have access to a wide array of features. Get a dozen friends, climb aboard and leave the driving to a pro. A van is the perfect option for a mid-size group (up to 14 passengers) to get around for business or for pleasure. Check availability to see photos, prices and reviews. All our shuttle buses, coach buses, party buses look nothing like a bus on the inside. For our Party Buses, we’ve taken out all the standard seating and set up intimate tables with plush seats. We’ve added a state-of-the-art sound system, a 10 disk CD changer, an AM/FM stereo radio receiver, television sets and a DVD player. Whether it’s movies or music, you have plenty of choices. They’re built with fun in mind — We’ve reconfigured the insides of every party bus, ripping out the seats, so that you have room to dance. We’ve added world-class sound systems and some of our party-mobiles even have a wet bar. You’ll always feel safe and secure — Our drivers must complete extensive training and certifications so that we can maximize your safety. And, because of the controlled access to a bus, there won’t be any unwanted guests. Reliable — Your party will always start on time with our All American Limousine party bus—cancellations and delays are virtually unheard of! 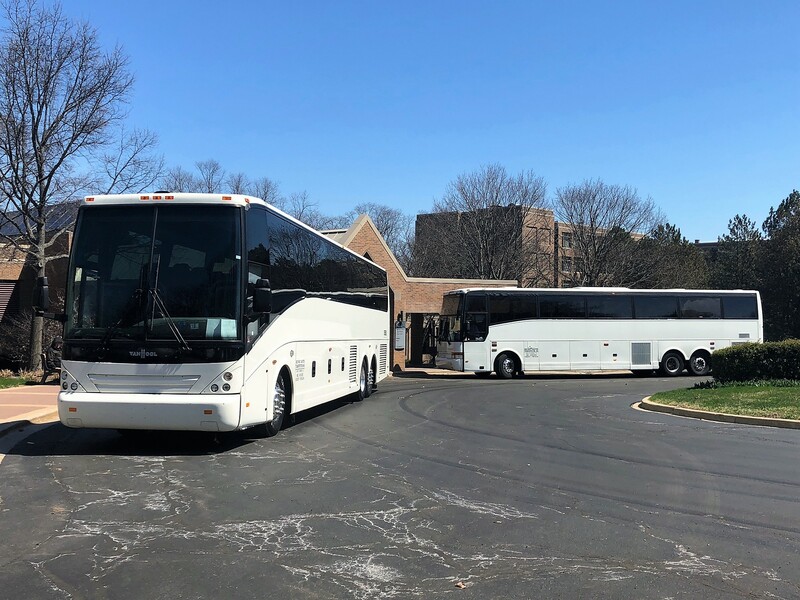 Convenient and flexible — We offer a number of options, based on the size of your party—our Fleet can provide service from 10 passengers to 55 passengers! An All American Limousine Bus — Fun on Wheels!! It’s great fun to make your party mobile, and there’s no better way to do it than on an All American Limousine party bus. Call us at 773-992-0902 today to check on availability or to get a free quote.